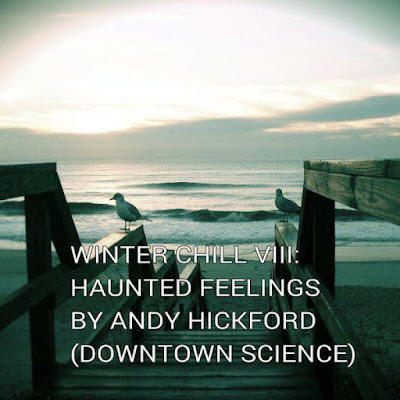 The Winter Chill series continues, this time with the fabulous Andy Hickford from Downtown Science at the controls. You may know Andy from previous guest mixes he has provided to Balearic Social or the Network show over on Box Frequency or through his involvement in Downtown Science alongside Decknologist and The Boogie Monster. You might also know his work through his excellent 'Tales From The Racks' blog. If you are Leeds based, or ever in the area, you can catch Downtown Science at one of their regular nights, playing at Hyde Park Book Club on the first Friday of each month, the Northern Monk Brewery on the 3rd Saturday of each month and at Outlaws Yacht Club on the last Thursday of each month. Aside from this Andy has a monthly slot at North Bar (also in Leeds) and will be playing at the Martin Parr Photography private view party at the Hepworth Gallery in Wakefield on the 3rd of February. As if that wasn't enough, Andy tells me that the Downtown Science chaps are planning on putting on some all-nighter parties in Leeds, with details to be announced very shortly - keep tabs on that via the links provided below! If this is your first time checking Andy out, then be sure to listen to his other mixes via the links below. Everything I've heard from Andy has been top quality... this mix has been on repeat for me since it was posted.